The AT is the 4th generation of SOTAX dissolution baths and the heart of the Xtend™ Dissolution Line. Whether used as a manual apparatus or as the core component in an automated dissolution system – the AT has been designed for the most demanding environments. 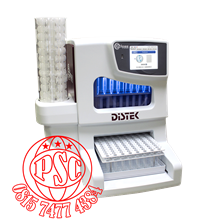 Built on the success of preceding SOTAX dissolution systems, the AT can be flexibly configured for USP 1,2,5,6 and non-compliant stirring dissolution methods. Its unique design combines robust quality components with state-of-the-art technology to guarantee reproducible testing conditions, day after day. Depending on the required automation level, the AT can be flexibly extended with additional Xtend™ modules – making method transfer for increased throughput requirements easier than ever. The innovative circular design of the dissolution bath opens up a new dimension of observation possibilities for R&D visualization and OOS troubleshooting. Understanding the release characteristics of formulations requires full visibility of samples during the dissolution test. Depending on your observation needs, the circular AT bath allows visual observation of each vessel from the outside and additionally from the inside using video monitoring. To view the behavior of samples from the bottom, an optional mirrored base plate is available. The unique CenterView™ design provides perfect visualization and video recording of release processes in each vessel. Located in the center of the dissolution bath, all cameras can be adjusted and controlled for height and focal distance. For optimum visibility, indirect light is integrated into this space-saving design. The innovative circular design of the dissolution bath sets new standards for precise, quick and easy operation. Like its predecessor models, the AT dissolution bath has been optimized for ideal water circulation to ensure extremely high temperature homogeneity during the test. 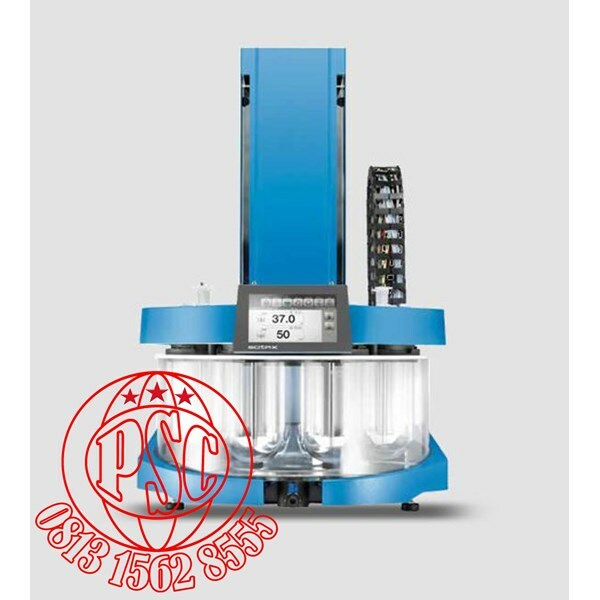 From fast filling and draining of the water bath with quick-connector, self-priming circulation pump, to motorized lift function, all handling and cleaning processes of the AT have been optimized for simple and fast execution. When adding test medium or removing vessels, the vertically lifted shaft drive provides excellent accessibility during all change-over and cleaning processes. 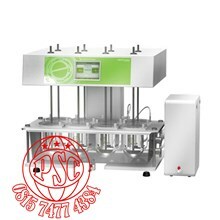 The AT dissolution apparatus fully complies with all harmonized Pharmacopeia requirements and features “built-in” compliance without any adjustment. The proven SOTAX AutoCompliance™ concept with fixed shaft height and vessel positioning guarantees 100% compliance without requiring time-consuming adjustments by the operator. For fast change-overs, quick-lock systems and a vertical bath closing mechanism ( manual or motorized ) provide for simple handling processes. Auto-centering vessels : Time-consuming vessel set-up is unknown with the AT’s auto-centering quick-lock system. Locking rings, which are fixed on the base plate, guarantee highly accurate vessel centering and allow analysts to insert or remove vessels within seconds. Each vessel is certified and closed with an individual cover limiting evaporation. Fixed shaft height : Proven to have the lowest wobble ratings in the industry, the AT incorporates the same shaft design as previous SOTAX dissolution baths. All shafts are self-centering and no adjustment of shaft height is required – maintaining the highest level of precision while making changeovers fast and simple. Fully documented qualification : The AT has been designed to facilitate highly accurate mechanical calibration anytime. Using the innovative Mechanical Qualification Device ( MQD ), all required procedures and measurements can be easily performed and results are automatically documented according to the current FDA guidelines on enhanced mechanical qualification. 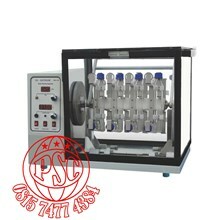 For full flexibility, the dissolution apparatus can be operated with various vessel types. The bath accommodates a broad variety of different vessel styles – from certified standard glass vessels to polycarbonate or low actinic glass vessels, 1 or 2 liter vessels, mini vessels, immersion cell vessel, peak vessels, and China vessels. 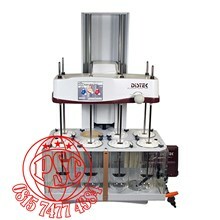 Developed for USP 1,2,5,6 methods, the dissolution apparatus allows testing with different compliant and also non-compliant stirrer designs: Basket, Paddle, Paddle over disk, Rotating Cylinder, Extraction Cell, Mini Paddle, China Paddle, Stationary Basket, Intrinsic Dissolution. 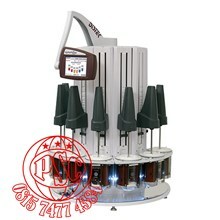 All parts are made of high quality material, are serialized and certified. Simple and intuitive touch screen operation makes test set-up and method programming easier than ever. Logical, icon-based menu structures and multi-language capability reduce analyst training times to a minimum. The large integrated 5.4" color touch screen sets new standards for efficient operation. User rights settings, method programming, data visualization, data transfer and reporting are readily available at the touch of a button. Using the built-in USB port, methods can be conveniently exchanged between different AT installations – eliminating redundant programming tasks. Various communication ports allow local and network printing, status monitoring via TCP/IP and full system control by PC software whenever needed.